Ellen DeGeneres has slammed “ignorant” comments made by a Dolce & Gabbana designer. Domenico Dolce, who runs the famous Italian fashion house alongside co-designer Stefano Gabbana, recently revealed during a magazine interview he is unsupportive of “synthetic” children born via in-vitro fertilisation and other artificial insemination methods. 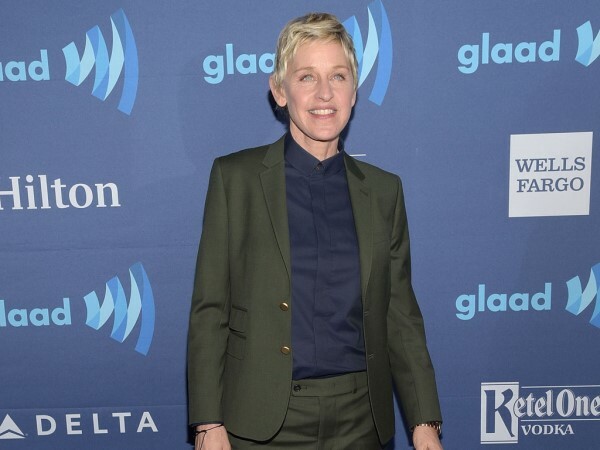 And while attending this weekend’s 2015 GLAAD Media Awards with her wife Portia de Rossi, Ellen shared her thoughts on the controversy. Ellen is so appalled by Domenico’s statement, she has even given up her support for Dolce & Gabbana. The funnywoman will not be donning any of the fashion line’s clothing anytime soon. “Why would I support someone who says something so nasty?” she noted during the interview. Legendary singer Elton John, who is father to two sons born via surrogacy, was one of the first to lash out against Dolce & Gabbana for the incendiary comments. But actress Zoe Saldana, who also attended the GLAAD Awards this weekend, has a different view on the matter entirely, as she thinks boycotting the brand would be silly. “No! Not at all, that would be the stupidest thing if it affected my fashion choice," she told E! News at the ceremony. "People are allowed to their own opinion, however, I wouldn't have chosen to be so public about something that's such a personal thing."